I have started training for my first marathon...for the fourth time. I have, again, started early. I am hoping that this time I can stay healthy and actually participate in the race. I booked a hotel during the summer, but waited until just recently to actually register for the race. I was putting off paying for the race until I had a better idea of how my training would go. 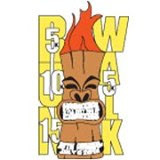 "The race" is the Little Rock marathon on March 2, 2014. I chose Little Rock for several reasons, mainly the timing and thus the expected temperature/s for training and on race day. I would much prefer to do my long runs in the cool or cold weather, as opposed to the heat of the summer. Also, there is usually a significant group of Heartland Road Runners who go every year and report having a great time. This year will be no exception as I have heard. I am generally not motivated by "bling," but Little Rock has, by far, the largest finisher medal--it is as big as your head! So...maybe the "bling" will be pretty cool to show off. I must admit, I like the idea of a super hero theme too. My focus right now is on the long run. So far, I have completed several runs around the two-hour mark and will gradually increase my time. I chose to define my runs by length of time running in this program instead of by mileage. This is new for me. The idea is to emphasize the systems I will be training and the metabolic improvements I am striving for--burning fat more efficiently, creating more mitochondria, capillarization, etc. That is, focus on me, my body, as opposed to the road, the distance, etc. I will still monitor mileage too, of course, it just is not the emphasis. In the past, I have focused on average pace on my long runs. This time, I am completing most of my long runs at an easy pace, going by feel. Again, this for the reasons listed above. 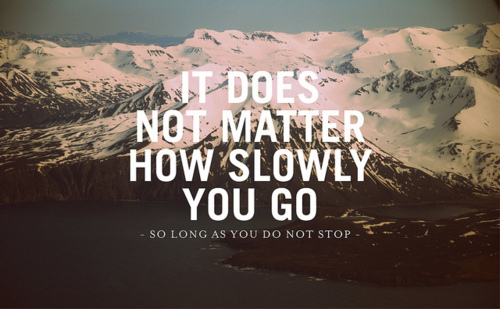 However, I am finishing my long runs at my goal marathon pace. So far, I have been running thirty to forty-five minutes at that pace; I intend to increase that time as I progress through the program. The goal of this part of the workout is to teach my body how to run at that goal pace when I am fatigued. I want to train my fuel systems appropriately and also develop muscle memory for this speed. Another new training concept I am applying is to increase my overall mileage, running "junk miles." In the past, I focused on quality runs not quantity. 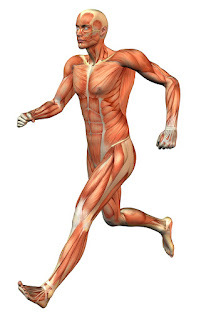 Now, running performance improves with total mileage, but injury risk also increases. The injury risk was part of the reason I kept my mileage relatively low. However, that did not serve me as well as I had hoped, hence starting marathon training for the fourth time without ever completing a marathon. So, this time around, I hope to achieve the overall performance improvement and just make myself a more durable runner. An added benefit I hope to achieve with increasing my mileage is to return to an effective racing weight. While I am currently at a healthy weight--finally! after struggling for nearly a year after my foot injury--I am not at a good weight with respect to performance. Looking at my body weight at times when I have performed best, I was five to ten pounds lighter. I am in the process of evaluating and reformulating my overall nutrition and incorporating cross training, mostly cycling, as additional means to achieve this goal. Finally, I am doing regular strength training. I am doing two different types of workouts with two separate goals. First, for injury prevention and general performance improvements, I do some running-specific strengthening. This focuses primarily on the hips and core, but includes a lot of leg movements. Second, to improve overall strength and muscular fitness and to improve recovery times, I am doing some total body strengthening and conditioning. These workouts incorporate a lot of total body movements and short rest periods. Of course, the strength training should help to improve my body composition over time too. That is it! As I said, I am always experimenting and I make frequent modifications, but this is my plan for now. Wish me luck! Last week, my wife and I were in Chicago for a brief holiday, leading up to the weekend during which my wife attended a continuing education seminar while I explored the city. 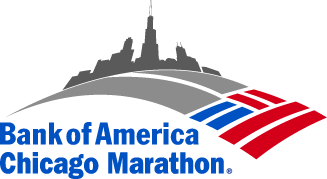 It just happened to be the same weekend as the Chicago Marathon and the course wound its way near our hotel twice. I had been training a client to run Chicago as his first marathon and several of our local run club members would be running as well. So, I was excited to be able to see them and yell my support if, in fact, I was able to see them among the 40,000 plus runners. I was also hoping to see the elite runners and the wheelchair athletes, including Paralympian Tatyana McFadden from University of Illinois, my alma mater. On one end of our hotel's short street was the approximately 6.5-mile mark and the other end was the approximately 8.5-mile mark. So, with a cinnamon roll and coffee in hand, I found a sunny spot on the corner and waited along with a few others. It was a bit chilly for watching, but nearly perfect for running. By listening to the crowd, watching the helicopters overhead, and checking Facebook, I was able to gauge the length of the wait until the fastest racers would be coming by. We first saw the elite male wheelchair racers, followed by the elite females. As a cyclist, I am impressed by the technology of their conveyances--the wheelchairs and the hand bikes. 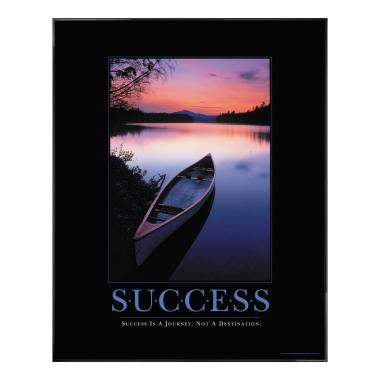 Additionally, I love seeing supposedly "handicapped" people succeed, in fact, excel. Having been a student at U of I during the peak of Jean Driscoll's athletic career and meeting other U of I wheelchair athletes, I became and have remained a fan of the sport. Soon after came the elite male runners. Wow! What a beautiful site! Fast, great form, ease...perfection. The females were not far behind and looked just as good. Impressive and inspiring to me as a runner, trying to go faster. So, standing in one spot, it is just a parade of people passing by. I saw the wheeled racers and the elite runners. Then the fast age-groupers and experienced marathoners. They gradually got slower. Lots of intense faces, but lots of smiles too. I saw my client as he passed by, smiling and chatting away, looking good after his first 10k. Several people ran in costumes. I saw a lot of tutus and super heroes; one guy with some type of feathered headdress; another in a just a Speedo. I saw a joggler and Dean Karnazes. I have seen signs at races stating "Worst parade ever!" But, I was enjoying it. I kept looking for my two run club friends, but was beginning to think I had missed them. After a quick visit to the hotel, I moved over to the other end of the street at the 8.5-mile mark and kept watching. I was nearly ready to give up when I looked up and saw them just as they passed me. So, I ran out yelling to them and joined them for about a quarter mile. I told them they looked great--they did!--and just chatted for a bit, wishing them luck as I went back to the crowd. Of course, I had to update our friends on Facebook, letting them know that I had seen them on the course and they looked good. As I slowly made my way back the several blocks to my hotel, I continued to watch the marathoners go by. At this point, I noticed that the crowd had become much more diverse: more faulty gait patterns--limping even, more walkers, more overweight people, obvious orthopedic problems. Granted, I saw a variety of people throughout the morning, but the groups passing together were very similar earlier. Now, it was like watching the Island of Misfit Toys do a marathon. I do not say that to make fun, just to create an image. They did not look like runners. My two club friends were running around the five-hour finish group and ultimately finished around 5:15. The people I am describing were behind them, finishing significantly after five hours. That is a long run. Personally, I have no desire to run that long (at this point). That sounds like torture! That is why I like to run fast and be done! I began thinking...these people are the warriors in this race. These are the really strong ones; the ones that have mental toughness. Talk about struggling and overcoming adversity! The previous day, a friend/colleague/client ran her first 5k. She posted her accomplishment on Facebook, saying that finishing was winning for her. I had heard this before, but Sunday morning watching the race and recalling this, it was more poignant. This is probably what many of these folks were thinking, especially the "misfits." As I said, I was inspired by the elites, but I expected that--a goal to work toward, striving for perfection, etc. And, I have been inspired by the wheelchair athletes too. However, seeing the tail end of the crowd was the most inspirational experience of the day. Those are the people I want to emulate. I do not pretend to know what they are thinking, but seeing their physical challenges I can guess how each of them might feel. And, they must be tough to overcome that. I will continue to try to improve my performance--run faster and more efficiently, striving for perfection. 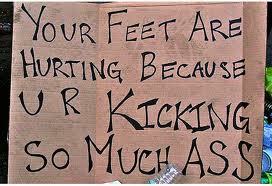 I will also, and more importantly, try to be tough as a runner and as a person. I will strive to accomplish my goals even when faced with challenges, because if these back-of-the-pack marathoners can do it, so can I! And, so can you! Carrie is one of the fastest swimmers in the area and luckily for us, this race fit nicely into her current training program. Carrie was the first woman out of the water after 3/4 mile and about 14th overall--and that is after spotting the individual male competitors 3 minutes! Like I said, she is fast in the water. Carrie was swimming for our team and also racing as an individual. So, after she tagged me in transition, we both hopped on our bikes and sped onto the course. I wanted to give myself every aerodynamic advantage I could--with my current equipment, that is. I have an aerodynamic bike frame and I wore my TT helmet. I also wore short socks, a tri suit, and did not wear my gloves. 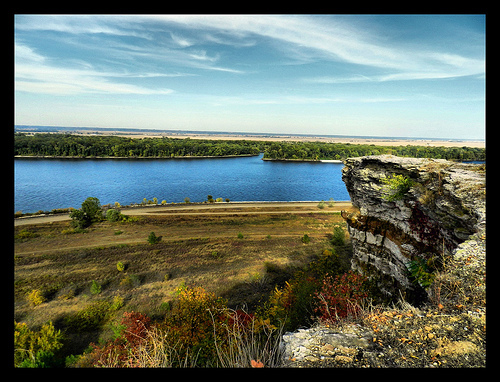 I had heard the course was pretty hilly--the name of the park is Thousand Hills after all--and a friend gave me a summary a few weeks before, so I knew what to expect. My goal was to average 22 mph for the 18 miles. I thought that would be challenging, but possible, all things considered. Exiting transition, the course goes up and out of the park. The first two miles or so are all up, but the road was very smooth. At around mile three, we exited the park and had mostly a gradual incline for about three miles on a straight stretch of highway. It also felt like a headwind, so I was thinking I would be flying back home on the second half of the out-and-back course. Then we turned onto a rolling, country blacktop for two or three miles to the turnaround. I had passed a few riders on the way out and no one had passed me. Then, nearing my turn, I started counting the bikes in front of me--a few of them were really flying--but, I was going to try to catch as many as possible, while continuing to ride my race. I was averaging around 21 mph leading up to the turnaround. Those hairpin turnarounds on courses of this type are always tough. They sap a lot of momentum, having to scrub all that speed and accelerate again from a near-complete stop. Still, I was able to pass another bike on the rollers. After leaving the rolling blacktop and returning to the highway, I was still averaging over 21--right on target. Now, the blacktop did not look or feel quite like I had expected on the way out--it was not the slight downward slope I expected and the wind might have shifted. Regardless, I had a goal and I had no reason to save any energy, so kept pedaling hard and fast. I passed another rider on this section who, it seemed, had been trying very hard not to allow that to happen. My average speed gradually increased to over 22 mph. After around 15 miles, we entered the park again--smooth pavement, mostly downhill. I tried to maximize my aerodynamic potential. However, I quickly realized why the race organizers had placed so many straw bales on the curves. It would have been very easy to take a corner too hot and tumble through them. While I like to descend quickly, I am no daredevil, so I kept it under control the rest of the ride to transition. I braked hard at the line and dismounted for the toughest part of the event for me--running about forty yard on legs of rubber to tag Gary and send him off. I was able to do it without face-planting, but sat down immediately afterward. My average was 22.2 mph (Yesss!) and I moved us up about five spots in the overall during the ride. My average heart rate was 170, so I think I worked pretty hard. Gary had the toughest segment of the race. Not only was it very hilly, but the temperature climbed quickly to above 90 degrees and the humidity was very high. Carrie had the water to keep her cool and I had the wind on the bike, but Gary did not even have much shade to protect him. Even so, Gary finished the five miles in 33:44--ninth fastest of the day and under his time goal of 35 minutes. As a team, we were the fifth finisher/s overall. We were the third team and met our goal of being the first coed team. Woo-hoo! It was a blast and I would definitely do it again. I greatly enjoyed riding the bike without having to experience the stress of swimming first and having to save energy for the run afterward. So, if you are thinking about entering the sport of triathlon, but are afraid of trying something new or have never tried one or more of the three legs of the event, perhaps a team tri would be a good place to start. Try what you know and go from there. Keep in mind two things. First, not every triathlete is an Ironman. And second, all ability levels are present. 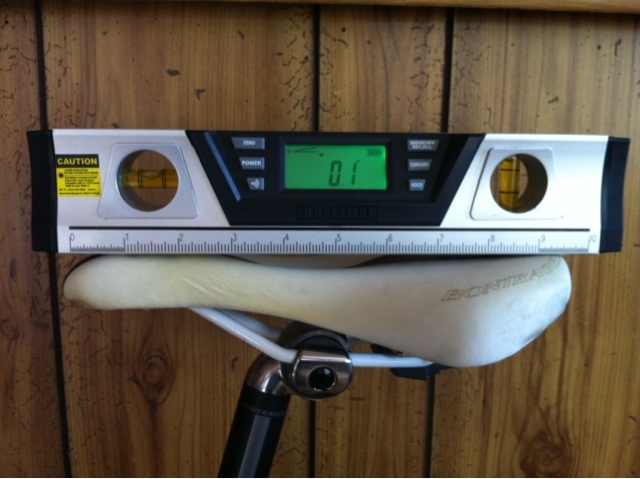 I wrote previously about the benefits of a professional bike fit and my approach to fitting. Now, I have been fitting for about three and a half months. I think I learn something new with each bike fitting about bikes, riders, and the interaction between the two. I am more perceptive when I see bicyclists on the road as well, analyzing their pedal stroke and fit. Through all of this experience, I have noticed several commonalities. 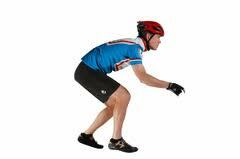 Cleat position is frequently off, causing the application of force from the rider to the bike to be compromised. 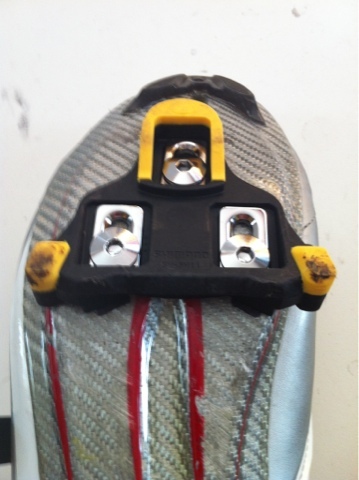 The pedal spindle must be coupled with the base of the first metatarsal to allow for the proper application of force. The saddle is too low, more often than not. This can cause two major problems. First, this can cause anterior knee pain in the short term and knee damage in the long term, hypothetically. Second, decreased power production will result as well. In both cases the knee is bent too far, causing more compression forces in the first case. In the second case, the quadriceps are too far shortened and the glutes too far lengthened to be efficient. The saddle is not level, sometimes by oversight, sometimes for comfort. Usually, if it is the latter, then something else is wrong and needs to be addressed. This could be the saddle itself or its position or the overall position. 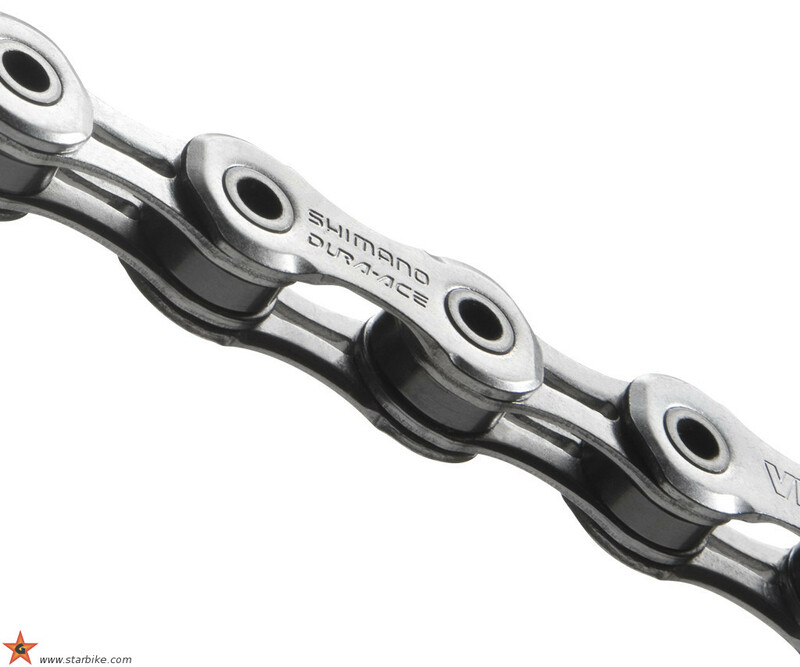 I have had to inform a few cyclists that they have the wrong crank length--usually too long, which can be frustrating and costly. While a variety of crank sizes exist, most off the shelf bikes are assembled with the three most common lengths. The manufacturers are trying to fit the largest spectrum with each frame size but, of course, they cannot match everyone's size. Through my fitting process, when this occurs, the correct position can be achieved with the pedal down, but not with the pedal up. This causes the same challenges as when the saddle is too low. Handlebar width, when wrong, is usually too narrow. This can affect the ability to control the bike. It may also cause discomfort in the neck, shoulders, and mid back. Often, the handlebar is not level as well. Just like with the saddle, sometimes this is by oversight. If not, it likely means something else is wrong. The biggest challenge to achieving a good fit is the potential for high cost. I do not mean just for the cost of the service, which can be significant, but the cost of new parts: handlebar, stem, seat post, crank set, etc. Unfortunately, a good fit frequently costs a fair amount of money beyond the initial cost of the bike. However, if a cyclist is going to ride thousands of miles and spend days in the saddle over a span of years, shouldn't fit be a priority? For the reasons of safety, comfort, performance, and value? Is it not worth the cost and effort to get it right? My answer should be obvious. Of course, the decision is up to each individual cyclist. On April 6 I ran my first race since injuring my foot last November. It was the Allerton Trails 10k held at Allerton Park near Monticello, Illinois. We chose this race for my wife--the half marathon--as a substitute for Quivering Quads which filled so quickly. I decided to run the 10k to pass the time as I waited for Pat to finish and to test my legs and foot. This was a "B" race for me; I trained right through it without tapering. Of course, I had goals for the race, but I was not looking for a great finish time. It was a test to see how my training had progressed, having taken so much time off to recover and rehabilitate. I have been frustrated by the training setback. 2012 was my fastest year ever and I was hoping to continue to improve and complete my first marathon. That all has been postponed. While I am not at the level I would like to be, I am improving. My speed and endurance are progressing consistently. As far as my foot is concerned: I can run and complete my workouts without limitation, but I need more time to recover. The foot has been sore consistently for 24-36 hours after each run. At least it does not bother me much while running. So, on race day, I was fairly confident I would do okay. I was going to push the pace if possible, but I would mostly be evaluating myself. The race started with about one mile on pavement before we entered the mostly double-track trails. I started off quickly to bank a little time, thinking the road would be easier than the trails. We also started downhill, so it was easy to go fast. I settled into a slower pace on the trails. They were dry and mostly clear of debris, roots, rocks, etc. There was one section on grass that was soft and uneven and scattered with mole runs that was a bit tricky. Otherwise, the course was not very technical. About halfway through, I tried to pick up the pace, but I was red lined; I was at my limit. However, my foot felt fine. This was very encouraging since my injury occurred on a trail run. The final mile was back on the road, uphill this time. I was still able to push the pace a bit. I finished under 8-minute mile pace which was my goal and my foot felt fine immediately after. I was actually fast enough to earn third place in my age group (I was also in the top 7% overall.) I was hopeful, but not optimistic about placing. Hopeful because of the cool Foo Dog awards they were giving. As I recovered and waited at the finish line for Pat and our friends, my foot started to hurt again. In fact, I limped around the rest of the day which was upsetting. However, I woke up the next day feeling fine. 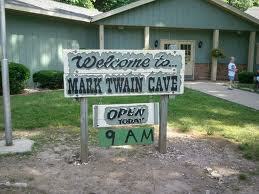 So, overall, the experience was enjoyable and encouraging. In the weeks since the race, my foot has continued to feel better thanks to the Graston treatments from one of my colleagues (possibly more on that later.) I continue to go farther and faster with less pain. 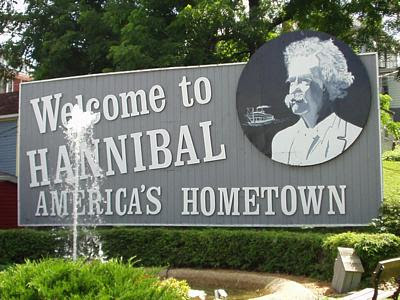 I will be running a half marathon in Champaign this weekend (it was supposed to be my first marathon...) and I am starting to set goals for later this year. I am feeling nearly normal again, thanks to smart training and my sports medicine team. 1. Beautiful park, probably more so later in the spring and summer because of all the gardens. 2. Challenging, but doable course. The easiest trail run course I have done thus far. Rolling hills, but a few flat sections too. I was told the half marathon course was a little tougher due in part to a long section of uneven ground in an open meadow. 3. Nice medal. I liked it because it was gold instead of silver or bronze in color. 4. Unique age group awards. 5. Good food after the race: Great Harvest Bread Co cinnamon rolls. LOVE them. These rolls may be the reason I returned to run Quivering Quads the second year. As a fund raiser, a group was grilling hot dogs and salmon burgers too. 6. Inexpensive: the half was only $40 and the 10k was cheaper. That's the price with tech t-shirt. I think it may have been even cheaper for early registration. 7. One complaint: I had difficulty finding trash bins. 8. Maybe two: chip timing would have been nice, but that is just being picky. Conclusion: I and everyone I talked to would return to race. 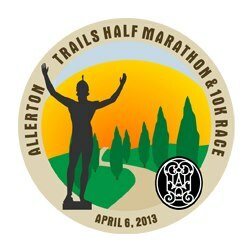 Allerton will also host a 5k and 10k on May 11. A third race will also be held there, but I cannot seem to find any information on it. I have been thinking for quite some time that I do not volunteer enough, that I may not do my share of charity work or donating. I see what many of my friends do and, in comparison, I seem lazy or selfish. I have also seen many of my fellow athletes training and racing for a particular charity or cause. I have done a little of that when it has been required, but no more. Of course, the majority of the races I enter are held to raise money for some charitable cause, so I have helped some. Overall, I just do not feel that I have made an impact. When I started thinking about training and racing for a cause, my goal was to choose something that was important to me and would thus motivate me. I considered cancer, diabetes, heart disease, etc. All good causes, but which organization? Also, how much money actually goes to the patient? 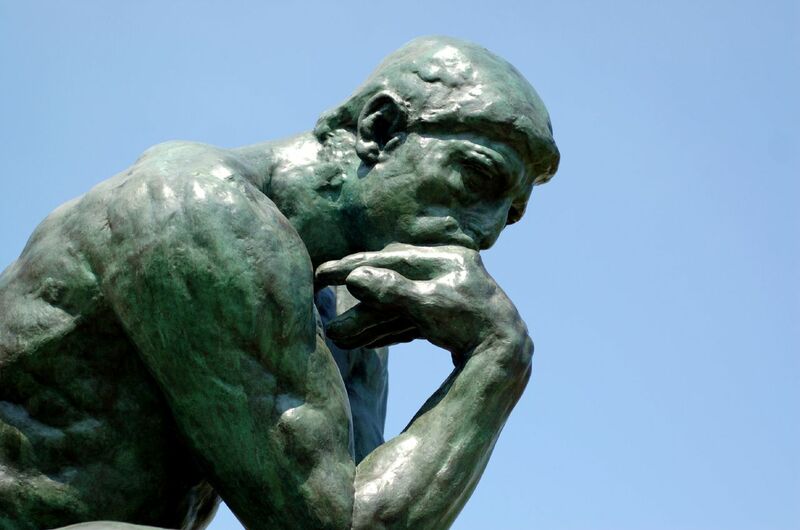 Then, I started thinking about my role in health care and my philosophy. I thought: my approach is to educate, using prevention as the primary treatment. So...perhaps I should focus my fund raising efforts there. But, how? 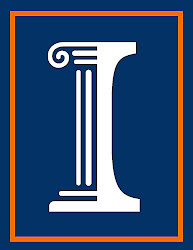 Anyway...after more thought, I decided to look to my alma mater, University of Illinois in Urbana-Champaign. Specifically, I graduated from the Kinesiology department in what is now called the College of Applied Health Sciences. After sharing several emails with Olympian Jean Driscoll, I decided to raise funds for the Kinesiology and Communtiy Health Annual Fund. My goal will be to help fund education for students who can help prevent disease; create educators of those people who need to learn to take care of themselves, to stay healthy by being proactive and preventing disease with the near-panaceas of good nutrition and physical activity. 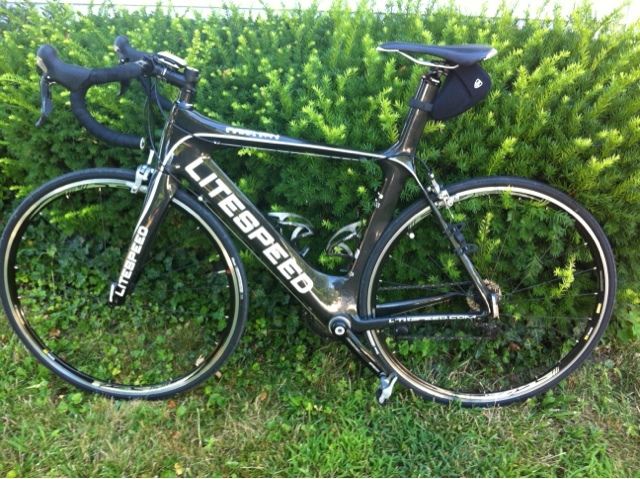 So, at this time, I will be accepting donations for U of I AHS students as payment for my bike fitting services. 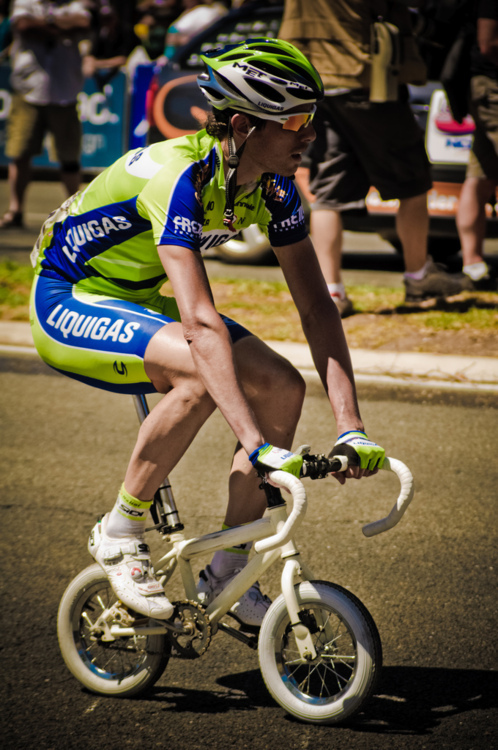 (To learn more about bike fitting, read this and this.) I will, of course accept donations without a bike fitting. Any amount is appreciated. You may also donate online if you wish. Help me improve the quality of education for our future fitness, health, and wellness professionals. 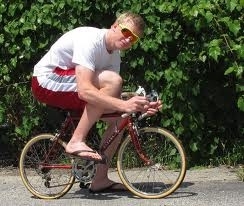 In my last post I discussed the importance of a good bike fit. Let me expand on that by stating that all cyclists can benefit from a professional bike fit for the reasons I mentioned. At the very least, a fit can decrease a cyclist's injury risk. Also, getting fit is imperative to eliminate any bad habits the cyclist may have learned and may be perpetuating. That is, a good fit must come before good form. My approach to fitting is driven by the basic principle of focusing on the rider, not the bike, coming from a perspective emphasizing basic physics, biomechanics, and physiology. The process applies the available scientific evidence to create a rider position that will take advantage of the optimum joint angles and muscle length and tension to allow the most efficient pedal stroke. Yeah. Great! What does all that mean? I do not use some slick, high-tech device or lasers or anything like that. 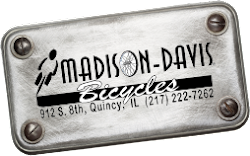 I take simple measurements of the rider and the bike and create a position that has been proven effective by current research, common sense, and the application of basic principles of science, fitting the bike to the rider. and gear, taking preliminary measurements. Then, the rider will warm up on a stationary trainer while I confirm information from the questionnaire, possibly asking further questions, and begin a preliminary observation of their pedal stroke. I will also record video of their pedaling for later viewing and analysis with respect to fit and efficiency. We will review the video together and I will also take post-fit video for comparison, giving instruction for improvement as necessary. Next, the actual fit begins. I start with the shoe and cleat moving up to the saddle--the "power plant." Once this is set, I move on to the "cockpit," the upper body and its relation to the handlebar. That's the gist of the fit. However, new parts may be necessary, thus postponing the completion of the fit. This is the expected norm; most fits will be completed over two sessions. Special thanks to Jeff and Jacqui Lockwood of Life Sport Inc. of Chandler, Arizona for your tutelage. A bicycle is an extension of its rider, the interface between the rider and the riding surface. As such, it needs to fit the rider appropriately, not the other way around. Just like a runner needs the appropriate type and size of shoe and may require a specific insert or lacing pattern to individualize the fit, so a cyclist needs correctly sized equipment, finely tuned to his body. Without that good fit to the bicycle, the cyclist risks being unsafe and uncomfortable which could lead to injury. A poor fit could also be limiting performance. With any good fitting system, a hierarchy of priorities exists and is related directly to the priorities of the rider on the bike. Safety first. Trite perhaps, but true nonetheless. A rider must have adequate control of the bike. If, for example, the handlebar is too far forward or too narrow, steering may be compromised. Or, if the bar is too low, causing the rider to bend more at the waist, they may not be able to see a safe distance ahead without hyperextending the neck, which could lead to injury. Commonly, casual riders have their saddle too low which will likely lead to knee pain. Second, a good fit will allow for effective power production by permitting the appropriate range of motion at each joint of the body and thus the proper balance of muscle length and tension around each of those joints. 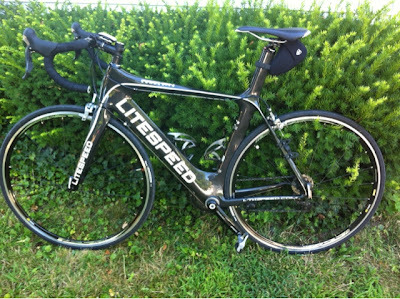 This optimizes the rider's ability to transfer power from the body to the pedal. Third, the rider's comfort should be considered to avoid inappropriate fatigue, so he may maintain control and power over potentially long periods on the bike. of the fit. Otherwise, overall function may be compromised. 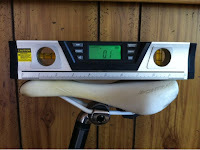 In Bike Fitting, Part 2, I will share my approach to bike fitting. Life happens. Challenges and barriers get in our way. Goals change. Life continues. Hopefully, we learn, gain wisdom and strength. I saw a similar sign in SA that made me chuckle. Running can be fun! I am usually quite competitive when I run, mostly against myself and the clock. I do not race to finish; I race for a fast time. However, last fall as I increased my base mileage, I visited my best friend in Texas to run the San Antonio Rock and Roll half marathon with him. The point of the race was to just hang out--a novel idea for me. Other than having the "buddy time" I also enjoyed seeing parts of the city I had never seen before and I was able to actually enjoy the festivity of the event and the crowds. While I will continue to race for speed, I would certainly consider doing another "fun" race too. Fifty percent of all runners this year will have a running-related injury. Statistics repeatedly show this. So, I consider myself lucky that this is the first time in over twelve years of consistent running that I have needed to take a break from running for longer than a week. For those who don't know me: I have worked in physical therapy and sports medicine for over twelve years too. Usually, I am pretty good at taking my own professional advice. This time, I did okay. However, I think I should have sought help sooner. As much as I know, I do not know everything. An earlier fresh look from an objective set of eyes might have made the difference between four and eight weeks off running. As I have shared before, I have been running in minimalist shoes for a while. Having a foot injury has changed my approach a little. Currently, I am running in a more traditional stability shoe and I plan to continue with this shoe as long as I struggle with plantar fasciitis. After that--hopefully soon--I will continue to run long with these shoes, but return to my minimalist shoes for shorter runs. I think my body just cannot handle running high mileage on hard surfaces with minimalist shoes. Consider that for what it is worth. Running shoes are as individual as the feet that fill them. ...which leads me to my overall outlook. "Everything happens for a reason." "When one door closes, another opens." "Every dark cloud has a silver lining." Phrase it however you like. Whatever. The point is: adversity must be accepted, then overcome. Learn from the experience, but keep moving forward. Change plans. Modify goals. There will always be another race. It actually gets easier to qualify for Boston when you get older, right? Just do. Not. Quit. Road running is a sport. As such it places specific demands on the body, different even than sprinting and walking. As a consequence, running has a number of specific injuries associated with it. Focused strengthening is important to prevent these injuries. Running-specific strengthening can also improve performance. Strength training is part of any comprehensive fitness or sport training regimen. But, you need to train thoughtfully and purposefully. General strength training can be helpful to runners by improving overall strength and muscular endurance. It may improve performance by affecting the power to weight ratio; that is, building strength and decreasing body weight. It can also improve body composition, making runners leaner. So, strengthening exercises that work the major muscle groups of the body, emphasizing the legs and core are helpful. Applying the principle of specificity will make strength workouts even more effective. The most commonly injured body part in runners is the knee. One might think that the knee should be strengthened to prevent injury. However, frequently the knee is not the culprit, but the victim. Therefore, my approach is to focus on the hips and core which can be weak or, at least, weak relative to the other muscle groups. As runners age (50 years and over) the most commonly injured area moves from the knee to the foot and ankle. So, that will need to be addressed as well. Here are a few of my favorite exercises for runners. All of them can be performed, at least initially with no equipment. With the exception of the forward lunge and heel raise, all will activate those gluteal muscles as I described. 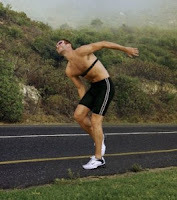 The forward lunge may or may not, but it mimics the running gait closely enough to be helpful. The heel raise is important especially for the older runners to prevent foot and ankle injuries. A few tips: 1. Do these exercises with bare feet to strengthen the intrinsic muscles of your feet. 2. Go to fatigue on each exercise. 3. Do both legs. 4. With the heel raises, lower slowly emphasizing the eccentric part of the movement. This is not a complete workout and some of you may be doing some of these already. Just pick a few and incorporate them into your current routine. To be thorough, some runners may need to address flexibility issues to prevent injuries as well. First, if you have low back pain, stretch your hamstrings. Second, all runners need to stretch their calves. Third, older runners need to maintain flexibility at their big toe--it should be able to bend up. I am occasionally asked about my running analysis service: what it is, what I look at, how it's done, where, cost, etc. So, I thought I would use this outlet to summarize the service, give a little background, and share part of my approach or philosophy. Each session starts with the runner completing a questionnaire covering basic information: goals related to running and the analysis, running history, injuries, etc. After I review that, I ask questions to clarify their responses or probe deeper. Next, I look at their feet. Also, if appropriate, I may look at their knees, hips, etc if they have a previous injury or if something looks out of the ordinary. I also look at their shoes and inserts, if they have them. Then, I do some quick functional strength and flexibility tests. These are mostly on one leg to mimic components of running gait. This screening continues as I have the runner walk on the treadmill barefoot as I video record them. I do this to see the feet in motion. Of course, I cannot see how the feet move in shoes. However, I would not want a runner to run barefoot unless that was the norm for them. Much of the information obtained up to this point is used to guide my focus during the treadmill running. Then, the runner finally gets to run (shod) on the treadmill as I record with high speed video. I usually take views from behind and the side. On occasion I will view from the front as well. I take several shots each with a different purpose, looking at the entire body, hips, knees, or feet. This usually takes less than fifteen minutes. The first several minutes I am not recording. The runner is finding their pace, getting comfortable on the treadmill, forgetting about me watching them. I will also measure their run cadence during this time. Runners on occasion have stated that they run differently on the treadmill than they do outside. This is true. Some differences do occur, but they are inconsistent between people and generally not very significant for someone who is comfortable running on the treadmill. Thus, the analysis is valid. After I collect the video and quickly upload it to my computer, I view the footage, going through my checklist and making notes. Then, I summarize what I see and make recommendations. I give advice regarding strengthening, flexibility, shoes and orthotics, running mechanics related to injury prevention and running efficiency or performance. I always email a summary to the runner too, so they do not have to remember everything from our meeting. The entire session usually takes about one hour. After the runner has had time to implement the changes I recommend for several weeks, a follow up appointment, recording more video can be helpful. Running analysis can be valuable for a variety of runners. It can help novice runners begin their running career safely and efficiently, building a base with good habits. 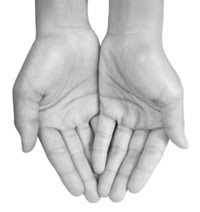 It can help identify the source of frequent or recurrent injuries. It may also allow a runner to take their training to the next level or push through a plateau in progress. Full disclosure: I provide this service as a NuFit For You trainer/coach.